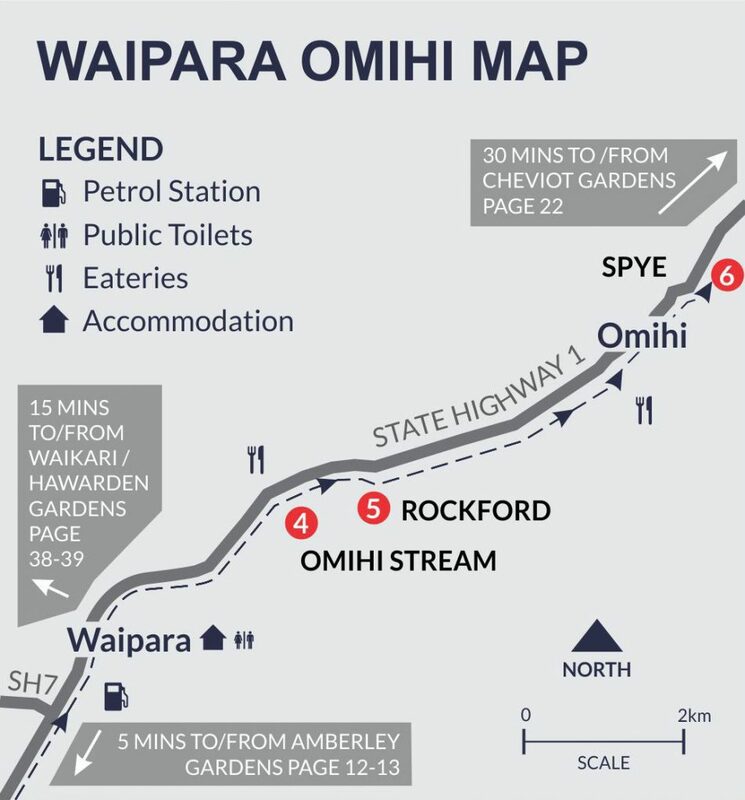 Welcome to the three gardens in the Waipara-Omihi Cluster. This map shows you the garden locations and the suggested route to travel to and from each garden. There’s also other useful information, such as the locations of public toilets, petrol and diesel stations, and food outlets.